To be a great cook, it takes time, patience, study and a lot of tricks. This last thing, tricks, is what brings us together today. Tricks are amazing and can turn any amateur into a master cook. I can promise you that you’ll use these tricks someday. Maybe not today, perhaps not tomorrow. But one day you’ll be chopping onions, and you’ll remember one of these hacks. Or maybe the next time you are alone and need to cook pasta without doing it for the entire neighborhood. So take a look at these hacks that will save your life sometime. If you don’t have much space in your kitchen, you can spice up the storage (and decor) game by using magnets everywhere. 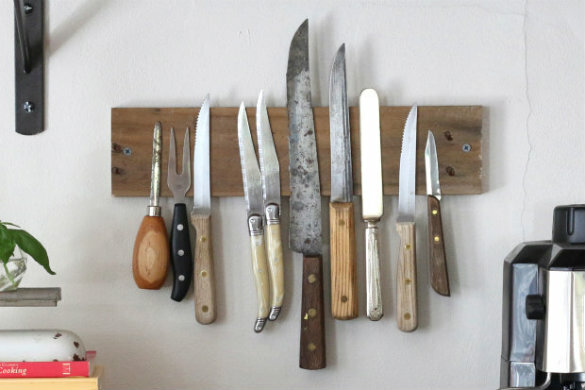 They are good for knives, spice racks and everything not to heavy. Organize your freezer with this excellent idea. Grab one or two magazine holders and put them in your fridge. They will be your new freezer shelves. Nobody has the proper space to cook a casserole or even a wok. 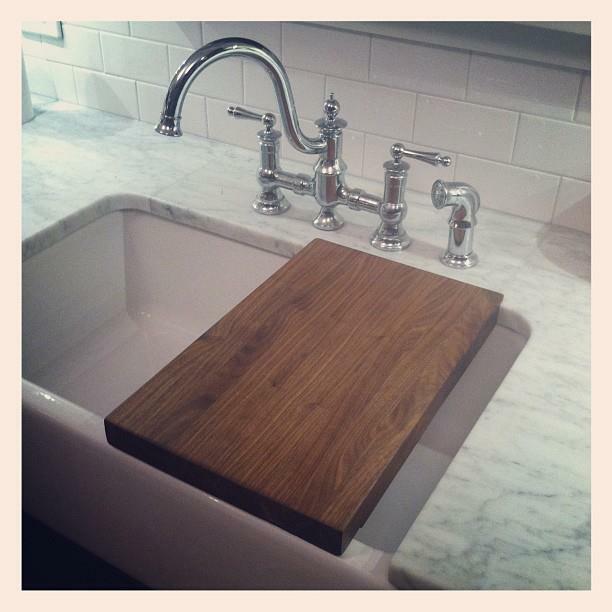 You can improve your kitchen space by getting a board that suits your sink. Pot lids are an incredible difficult item to store. Or well, they were. With this idea they will be always where you want them to be. All you need is a towel or curtain rod. Sponges can become a city full of bacteria. There are more living things in your sponge than you think. To avoid this, you need to keep it dry. You can use a clip to achieve that. Prevent the fish from sticking to the pot by brushing it with a little bit of mayonnaise. It will also increase the browning. Don’t put away that mayo. 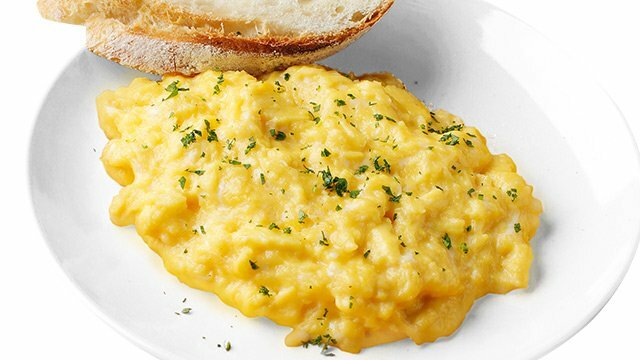 Add a little bit to your eggs instead of milk, and it will give your eggs the taste of heaven without losing flavor. 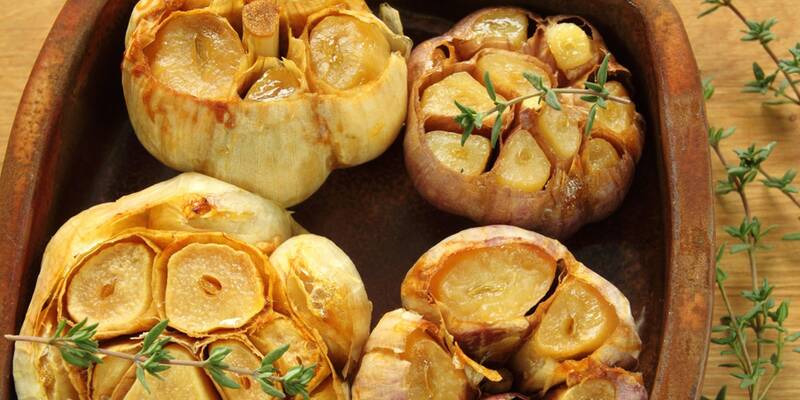 Sometimes (Just don’t ask me when), we need roasted garlic right away. And when that happens, you can put the garlic in the microwave for a few minutes, that will roast the hell out of it. 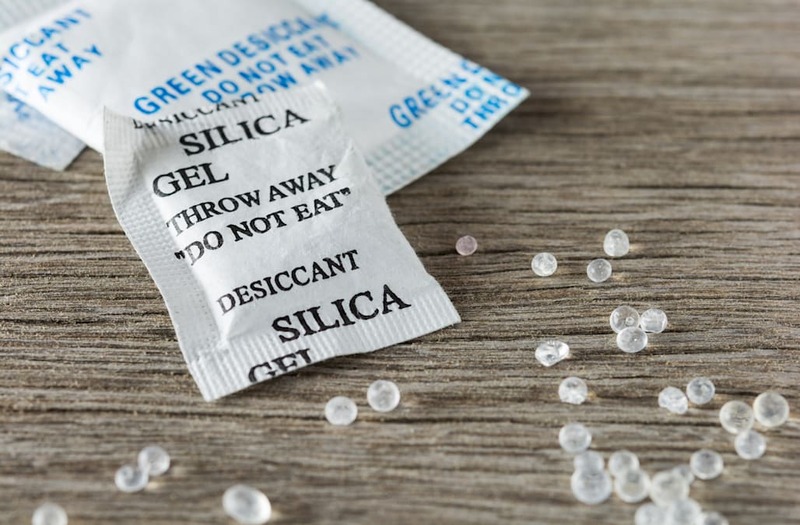 Place a Silica Gel Packet (those that comes with your packaged products) in the same container as your cookies, and it will absorb the moist to keep them always fresh. Have you noticed that ice cream gets rock hard when you put it in the freezer? Here’s a trick to avoid that: Put the container in a Ziploc bag and then in the freezer. You’ll see. No one has time to cook every day, and that makes us eat like a ten-year-old alone in a mall. Eat better by using your Sunday to prepare in advance. 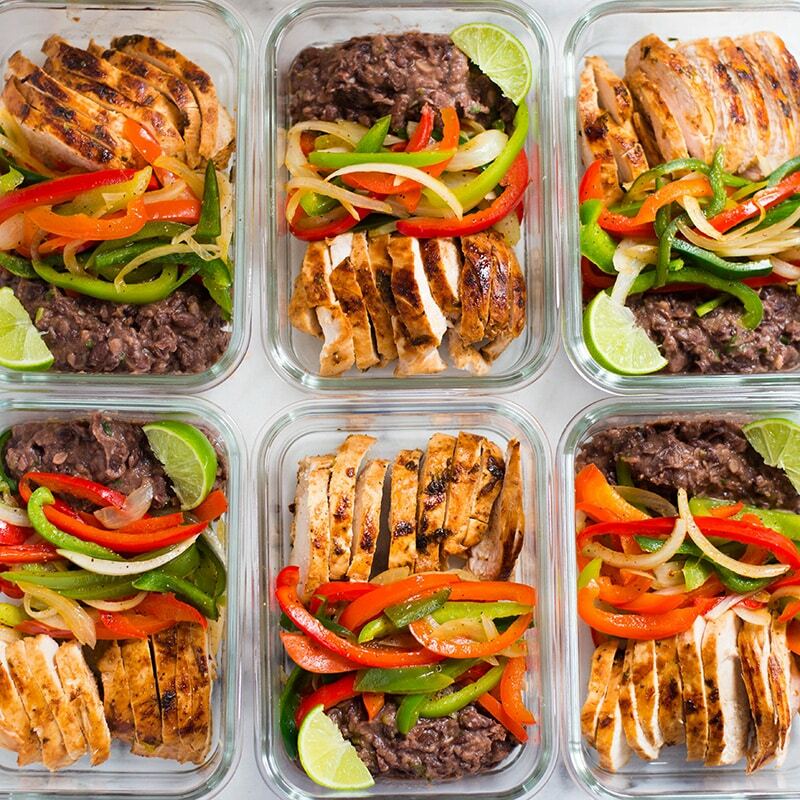 That’s called Meal Prep, and you can find thousands of recipes online. 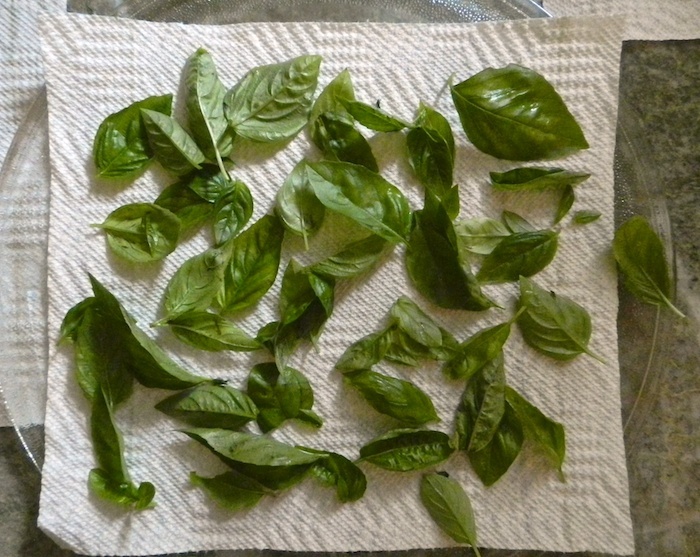 Cut a few herbs, mix them and put them in ice trays with olive oil. The next time you need to add flavor to a meal, just put an ice cube in the preparation, and that’s all! We all buy sodas and beer at the very last moment, and when guest arrive, they are as warm as the Sahara Desert. To fasten the cooling, wrap the bottles with paper towels. If the only bread you’ve got is getting stale, you can run it through some water and place it in the oven for ten to fifteen minutes. It will get fresh as recently made. 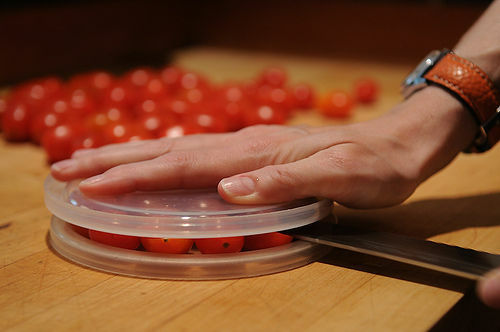 To cut your cherry tomatoes all at once and in one movement, you can put them between two plates or two lids, press the upper one and slice them with a knife. To remove garlic smell from your hands, you can rub a spoon under running water (as if you were washing it). The stainless steel will get that odor out. There are a lot of tricks to stop crying while cutting onions. But this is the one we think is definitive: Put your onions in the freezer for about an hour before cutting them. The juices will freeze, and they will be harmless. 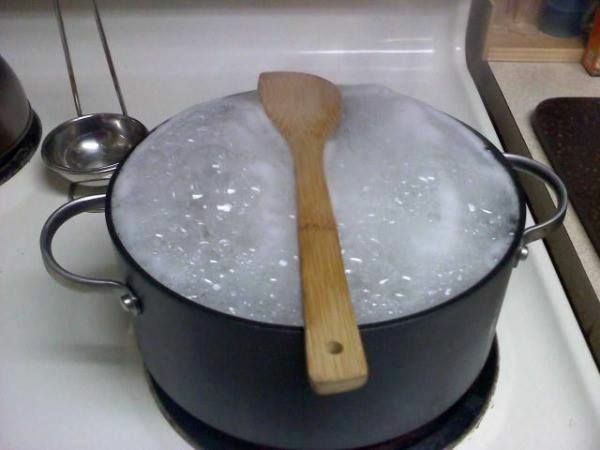 This one is a classic: Put a wooden spoon across a pot or pan of boiling water and it won’t over-boil and make a mess. 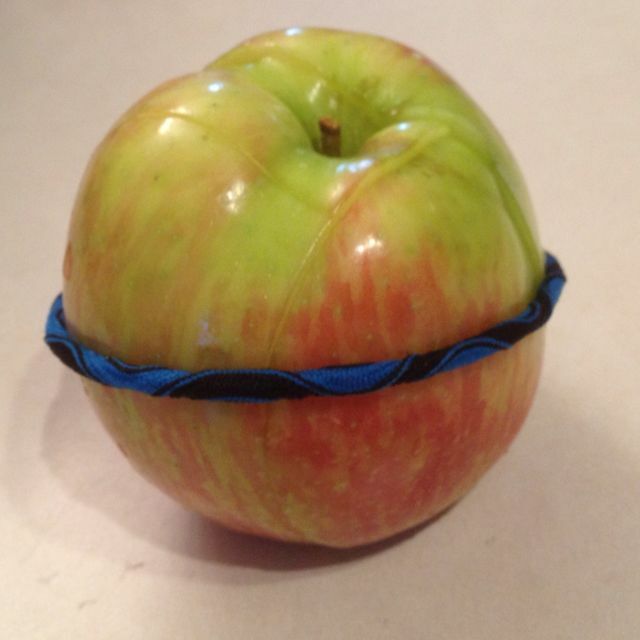 Kids love sliced apples, but they tend to brown quickly, and kids hate brown slices apples. To avoid this, cut them as usual but then rebuild it and pull an elastic band to keep it together. Peeling a squash can be a dangerous sport. 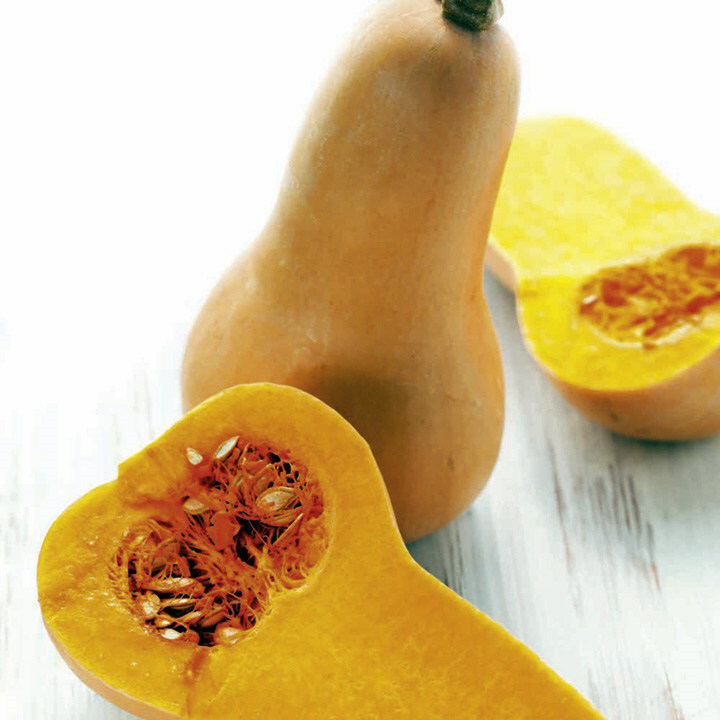 Make it way easier by putting the whole squash in the microwave for three minutes. The skin will soften. Has your honey crystallized? Don’t panic! It is still good! Put it in the microwave for 30 seconds and it will soften. Pizza is the greatest food in the World. Until it’s reheated. Do it the proper way by placing a glass of water inside the microwave. That way you’ll get the melty results we all want. Dry herbs last forever. You can keep them in spice racks and use them whenever you want. To dry them, put them between paper towels and then into the microwave. First, one minute. Then, intervals of 30 seconds till dry. Meatballs are delicious but a little greasy. But if you put them in an egg carton and then in the oven, it will absorb all the grease and give them an incredible taste. Put your favorite herbs and spices in a tea bag and then in your rice water. 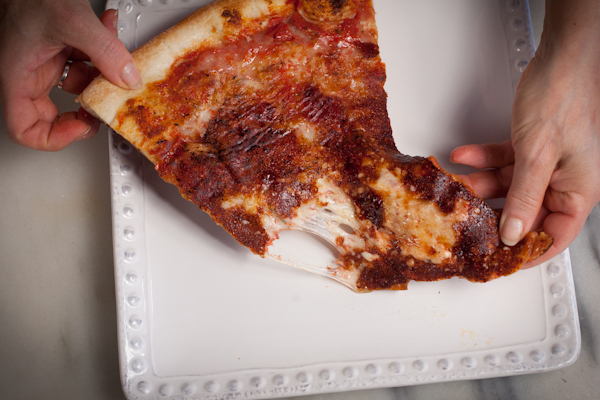 Turning meat too often makes it lose its natural crispy crust and the juices. The secret is knowing when exactly you should turn it. Move your pan a little. If the meat slides, then it’s time. 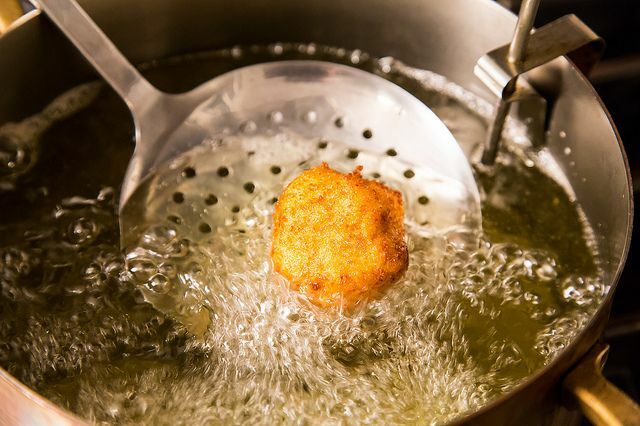 Olive oil is healthier than other oils in a lot of situations, but not when it comes to frying. The thing is it takes longer to heat, so it affects the taste of your dish and makes it a lot less healthier. 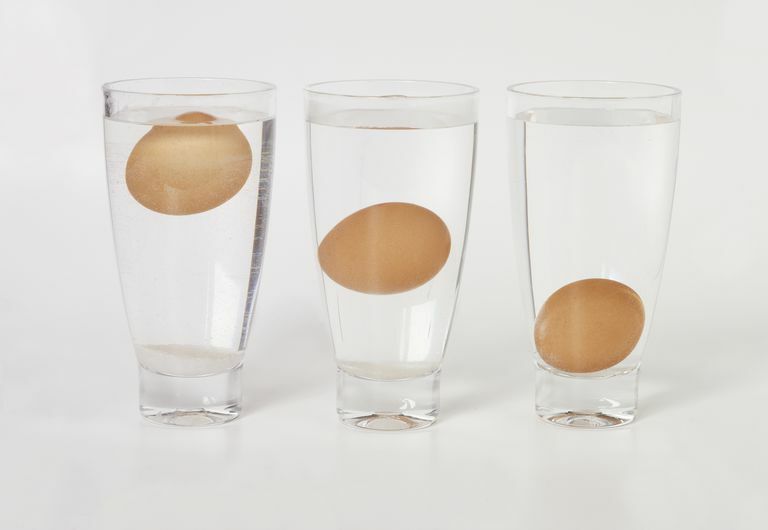 If you want to know if your egg is fresh, drop it gently in a glass or bowl of cold water. If it’s fresh, it will sink. It it balances, it’s a little bit old but still good, and if it floats you should throw it away. 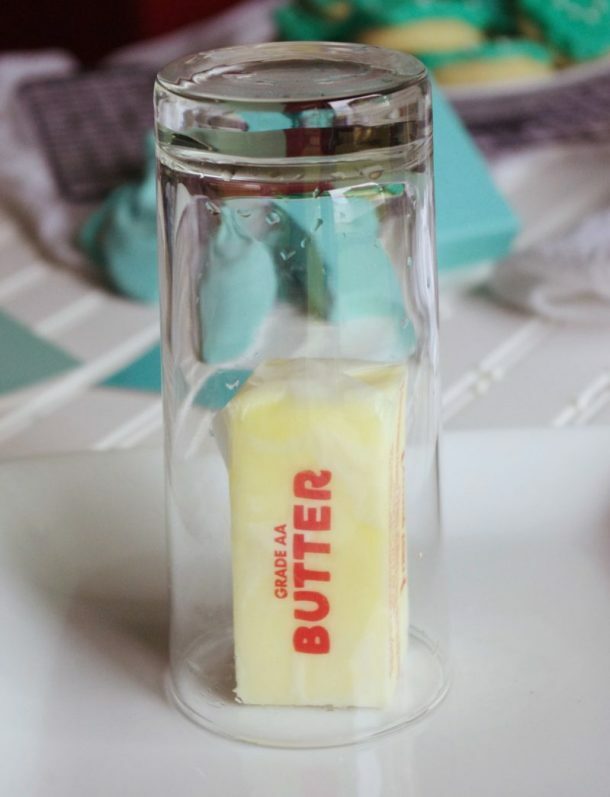 If you need soft butter but you don’t want to melt it, fill a glass with water and put it in the microwave for a minute. Then throw away the water and put the glass over the butter. It will soften in a few seconds. If you need to hard boil a lot of eggs and you don’t have enough pans (who does? ), then put the eggs in the oven. Do you love pasta but hate waiting for the water to boil? Then don’t wait! Instead of boiling the water in a pot, use a frying pan! The water will boil a lot faster. Onions are need for almost every common dish. And cutting them can be a real pain. Take courage and cut lots of onions at once, and then put them in the freezer. Peeling garlic can be really tough and your hands can get smelly for years. Put them in a bowl with a lid, close it and shake it really hard. When you open the lid again you’ll see the garlics peeled. 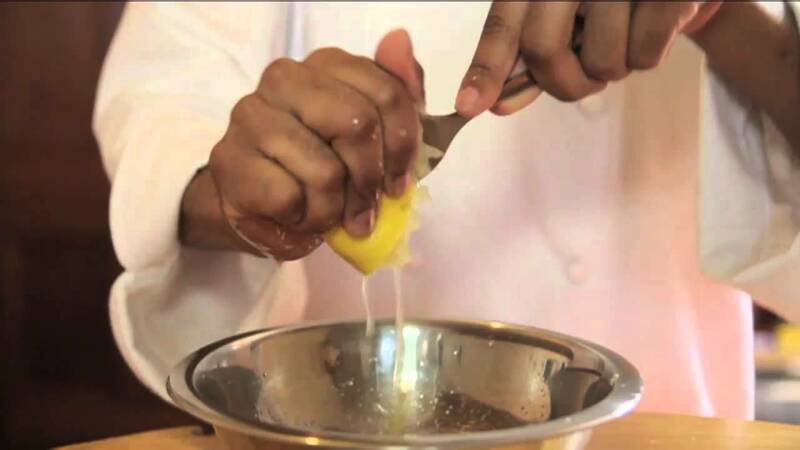 You’ll find thousands of tricks out there to help you prevent brown sugar from getting hard. But here’s all you need to know: Put the sugar in a sealed bag and then in the fridge. That’s all. 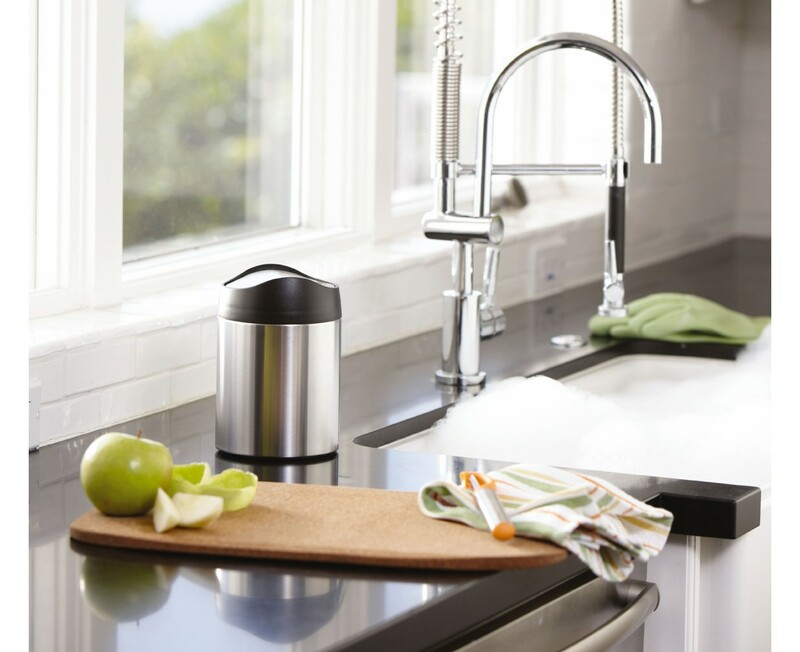 Stainless Steel can become dull with time and use. 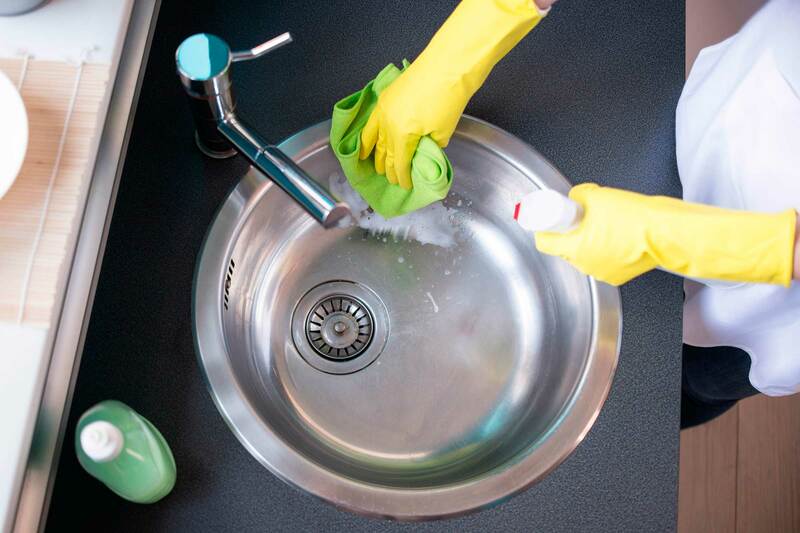 To make it shine again, mix vinegar and water and spray this solution on your surfaces before wiping it down. Wooden Boards can become a party venue for bacteria. To avoid this, cut a lemon in half and dip it with coarse salt. 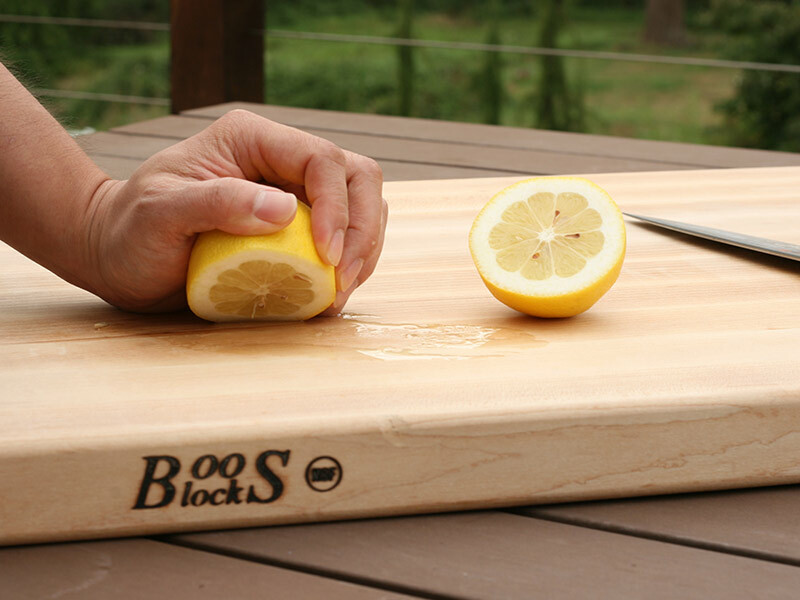 Scrub your cutting board and rinse. Your tomatoes will last longer if you store them with the steam down. This way, air won’t enter the steam scar. Also, try to store them at room temperature. 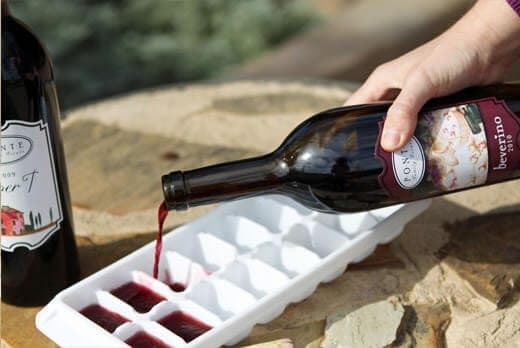 If you know you are not going to drink that remaining wine in the next few days, pour it in an ice tray and freeze it. Then you can use it in recipes or in your sangrias. 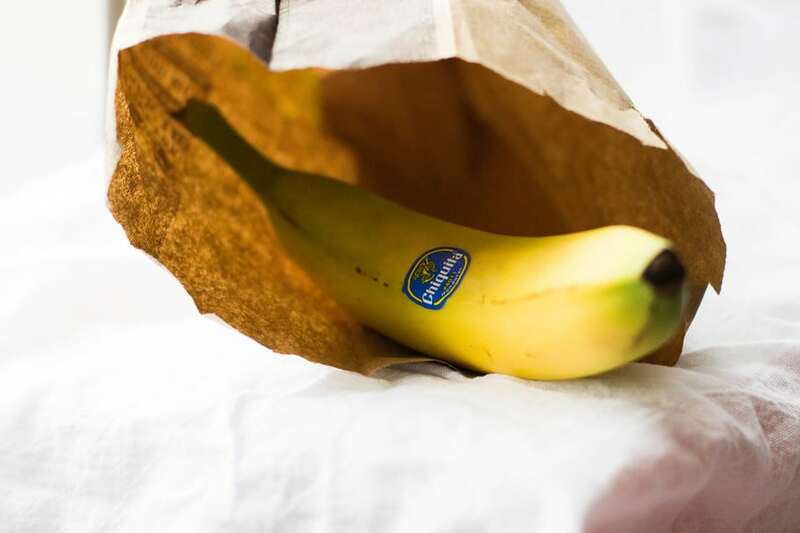 If you need that banana to ripen faster, put it in a paper bag and toss it. The concentrated gases will make it rip faster. 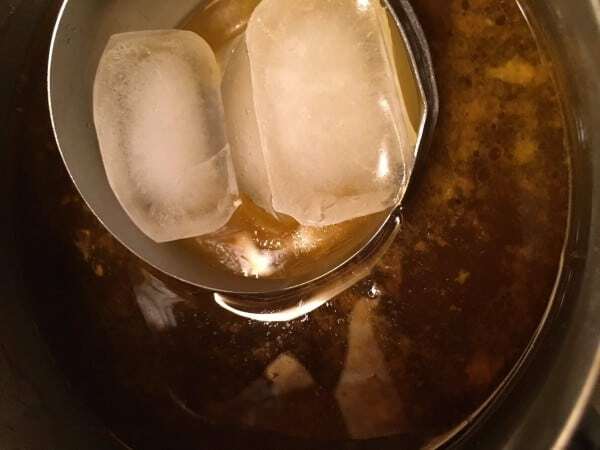 You can get rid of the fat in your soups or stews by skimming an ice cube on the surface of your liquid with the spoon. The fat will rise and solidify, and you can scoop it out with a spoon. We all want to take the most out of our lemons. To achieve that, keep your lemons in the fridge. Then, microwave them for 20 seconds. Roll them on your countertop, cut them in half and use tongs to extract all the juice in them. Measuring sticky things like honey or molasses can be messy. Spray the measuring cup with cooking oil, or use a paper towel to cover it in regular oil. 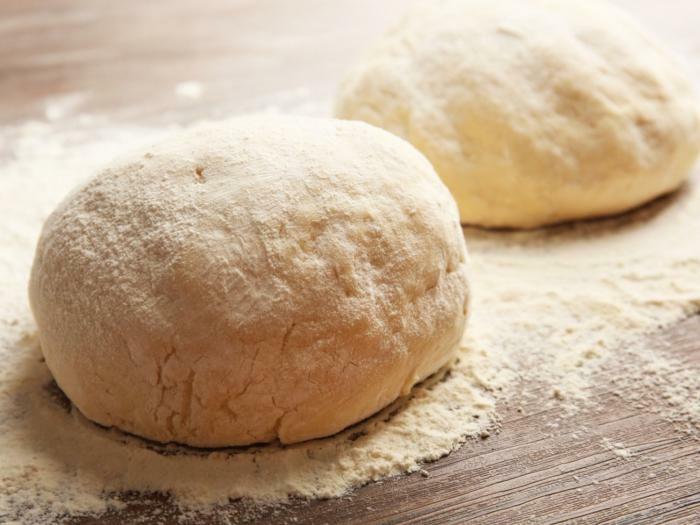 When it comes to baking, fresh yeast is always better than dry yeast, but sometimes can be really hard to find. Try this: Go to the bakery in a supermarket and ask for some. Most times they give it for free. This way, you can throw away things while you cook and you will fasten things up. You can also use a mason jar or an old bowl with a plastic bag. Cleaning up a blender can be a dangerous nightmare. Keep your hands and sponges safe. Fill one third of your blender with warm water and a few drops of dishwashing liquid. Run it for ten seconds and rinse. 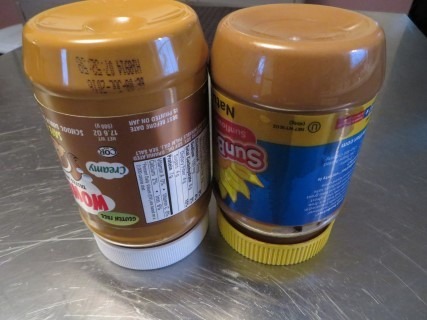 Storing your peanut butter upside down makes the natural oils move through the jar giving the product a better taste. Just make sure the lid is properly screwed on! Befriend your kitchen scissors. They are there for a reason, and they can be really helpful when it comes to chopping vegetables (raw and cooked) right into the pan. Use your egg slicer to chop strawberries for your fruit salads or desserts. You can also cut avocados for toasts and mozzarella slices for sandwiches and pizza. Here’s another thing that has more than one use. Grab one mason jar ring, spray it with cooking spray and heat a pan. Place the ring in the pan and carefully drop one cracked egg into it. Use tongs to remove the mason jar ring when the egg is done. If you live alone and you are tired of leftovers, you can easily boil pasta for one in the microwave. Put the pasta in a bowl, cover with water and microwave it for a minute. 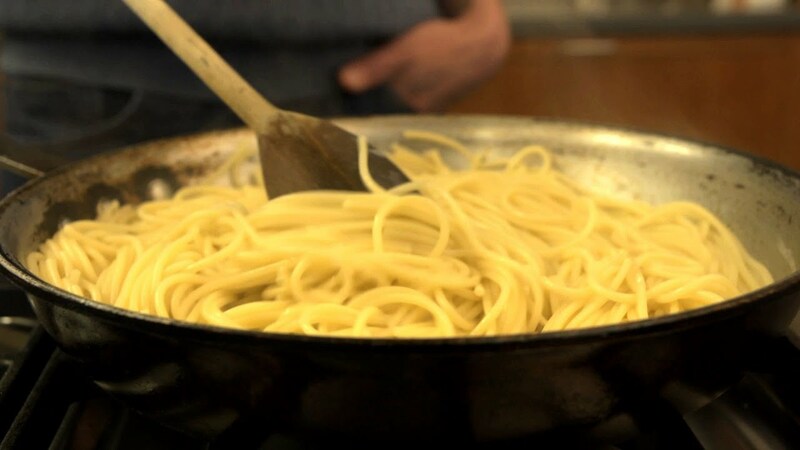 Stop and stir and repeat till the pasta is done.